Roni Rosenfeld, an expert in epidemiological forecasting and spoken dialogue technologies, has been named head of the School of Computer Science's Machine Learning Department, effective July 1. He succeeds Manuela Veloso, who is taking a leave of absence. Rosenfeld, a professor in both the Language Technologies Institute and the Machine Learning Department, joined Carnegie Mellon in 1994. 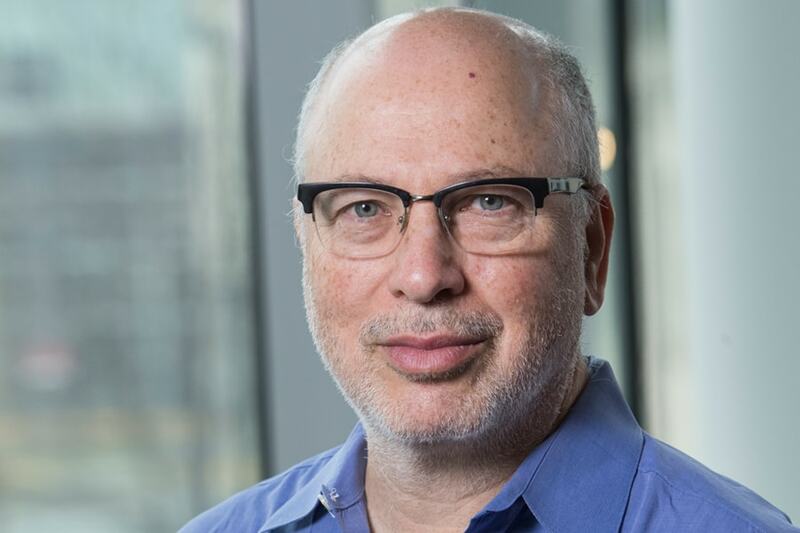 As head of CMU's Delphi Research Group, Rosenfeld aims to make forecasting disease as universally accepted and useful as forecasting the weather. His group has forecasted the flu using two methods. The first relies on artificial intelligence — in particular, machine learning — to make predictions based on past patterns and input from the Centers for Disease Control and Prevention's domestic influenza surveillance system. The other method relies on the so-called "wisdom of the crowd," basing its forecasts on the judgments of a number of volunteers who submit their own weekly predictions. Last fall, the CDC reported that for the third year in a row these two models proved to be the most accurate among all forecasting systems the CDC evaluated. Find out more. ﻿Mike Smith and Rahul Telang, professors of information systems in the Heinz College, co-authored an op-ed yesterday in the Wall Street Journal on the AT&T and Time Warner merger. In their piece, “Godspeed to AT&T-Time Warner,” they support the federal district court’s ruling in favor of the merger. The initial suit against the merger argued that it would enable AT&T-Time Warner to dominate the cable TV market and raise prices. However, the professors believe the merger is actually about competing for customers in the growing online entertainment industry. “These companies aren’t trying to join forces because they want to take control of a dying industry; they want to be allowed to compete in a new one. … We have no idea who will win this battle for the future of America’s living rooms. But we do know one thing for certain: In a market with more choices, customers will win,” they wrote. Smith and Telang, are co-directors of the Initiative for Digital Entertainment Analytics at Heinz College and co-authors of “Streaming, Sharing, Stealing: Big Data on the Future of Entertainment.” Read the op-ed. ﻿Lenore Blum, Distinguished Career Professor of Computer Science, received the Alumnae Lifetime Achievement Award from Simmons College, where she graduated in 1963 after starting her undergraduate studies at Carnegie Tech. The award cited Blum for her extensive work in encouraging more women and girls to study in math and science fields. Earlier this year, she also received Carlow University’s Women of Spirit Award for her efforts to increase the representation of women in computer science. Blum helped transform the culture of Carnegie Mellon, creating the Women@SCS program to provide support for women in what was once a male-dominated computer science program. CMU's School of Computer Science has since become a leader in gender diversity, with the last two incoming undergraduate computer science classes comprising nearly half women. Blum also is co-faculty director of the Swartz Center for Entreperneurship and founding director of Project Olympus. ﻿Dan Smyers, a 2010 Carnegie Mellon graduate, and his partner Shay Mooney, known as Dan and Shay, won the CMT Music Award for Best Duo Video of the Year last week at the CMT Music Awards in Nashville. They performed “Tequila,” the song behind their winning video, during the awards show at the Bridgestone Arena. As an undergraduate, Smyers studied finance at Carnegie Mellon’s Tepper School of Business. Dan and Shay have been nominated for 10 country music awards — five times for Vocal Duo of the Year — since 2014. ﻿Chemistry Ph.D. candidate Zoe Wright received the Best Presentation Award at the International Symposium on Biorelated Polymers: Innovation in Biomedical Polymers during the 255th American Chemical Society National Meeting and Exposition. Wright was picked by a panel of judges for her presentation titled "Hydrolysis-Driven Drug Delivery and Tunable Adhesive Properties: Bioactive Medical Adhesives." Wright's research focuses on synthesizing new methacrylate-based monomers to act as additives to existing medical adhesives. She works in a research group at Carnegie Mellon run by Assistant Professor of Chemistry Stefanie Sydlik. Wright's prize, sponsored by Polymer International, comes with a book credit from Wiley. Find out more. ﻿Chemistry Ph.D. candidate Logan Plath received the American Society for Mass Spectrometry Graduate Student Travel Award to attend the society's 66th annual Conference on Mass Spectrometry and Allied Topics. At the conference this week in San Diego, Plath will be presenting a poster titled "Next Generation Superconducting Tunnel Junction Cryodetection for Heavy Ion Mass Spectrometry." Plath works in the research group of Chemistry Research Professor Mark Bier, who also serves as director of CMU's Center for Molecular Analysis. In Bier's lab, Plath primarily works on studying large macromolecules, such as viruses, polymers and protein complexes through mass spectrometry. Roni Rosenfeld has been named head of the Machine Learning Department, effective July 1.